Thirteen metabentonites from the Gamtangen Member, a succession of mudstones and nodular limestones within the Silurian Vik Formation, were analysed for major and trace elements. Bulk-rock chemical compositions indicate two parent volcanic ash sources, one rich in incompatible elements (Zr, Nb, Th) called the 'evolved' set, the other higher in compatible elements (Ni, Ti, V) and named the 'primitive' set. Microcrystals of apatite, which represent former phenocrysts, were analysed for their rare earth element content and these data confirmed the existence of two populations. These two volcanic sources were contemporaneous and are thought to have lain to the south or south west of Oslo. 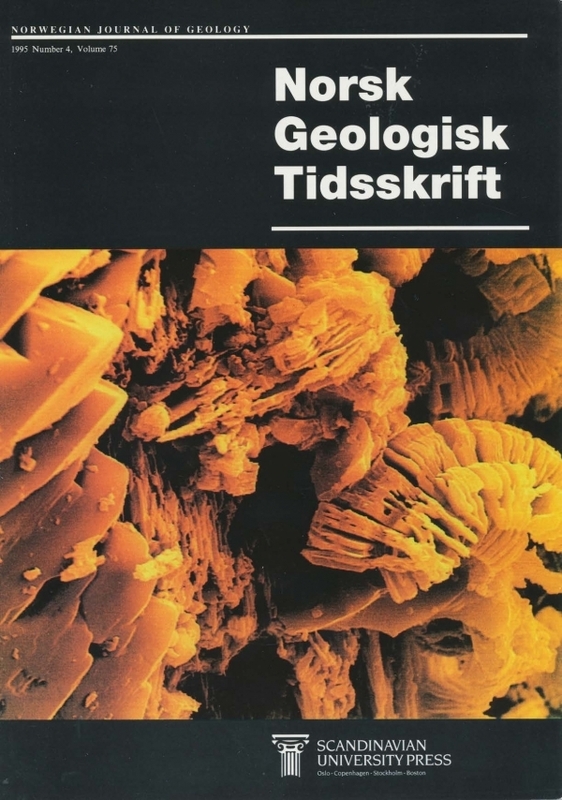 Similar 'evolved' and 'primitive' compositions are found in bentonites from the Lower Visby Formation of Gotland, Sweden, and a tentative correlation is made between the Gamtangen Member of the Oslo Region and the Lower Visby Formation of Gotland, with the consequent convergence of these two horizons into the M. spiralis Biozone. Nils Spjeldnæs, lnstitut for Geologi, Universitetet i Oslo, Boks 1047, Blindern, 0316 Oslo, Norway.